Are you aware of how to do fundamental analysis? Do you know financial ratios important for fundamental analysis? Have you ever thought why fundamental analysis plays an crucial role in any of the financial markets? Do you know how to read companies report, cash flow statement of the company? what are the profitability ratios for evaluating and forecasting company’s profits? what are the coverage ratios? what are liquidity and debt ratios? Are you new to fundamental analysis and looking for basics of fundamental analysis for beginners course or a guide? In this tutorial e-learning course you will learn the basics of Fundamental Analysis. This course will empower your knowledge on basic terms and how to evaluate company’s data fundamentally. After taking this course you will have sound knowledge on fundamental analysis, basic concepts and terms of fundamental analysis in financial markets and you can start paper analysis to gain practical understanding. Once you are comfortable you can start live trading in any of the financial market with the help of fundamental analysis. E-learning course details: Course duration for Fundamental Analysis for beginners module is approximately 55 minutes. This course consists of series of chapters given below. At the end of the tutorial course you can take the quiz to check how far you have understood about analyzing. You can also publish your quiz score’s on website and share with your friends and team mates. Best of luck! » Chapter 3: How to Analyze and Read the Annual Report of a Company for Financial Analysis? » Chapter 4: What are Qualitative Factors in Decision Making on Company’s Performance? 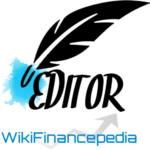 » Chapter 11: Fundamental Analysis Quiz – Basics of Fundamental Analysis for Beginners.